Spiralized Veggies, Onions, and Cream. Yes, that’s right. Finally, winter! Sunny, cold, snow. Who doesn’t want to get out there and do some serious XC skiing? … but we’ll need more than a half inch to do so. In the meantime, an invigorating walk will get your blood flowing and contribute to that shallow vitamin D pool we in the northern hemisphere endure. 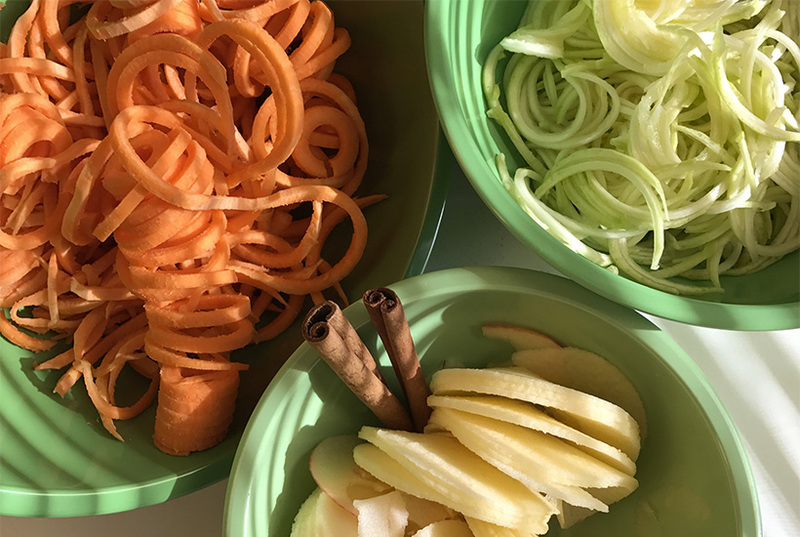 After a quick stroll in the sunshine this morning, I decided to fire up my spiralizer (just typing the word is fun) and stock up on a few recipes for the week. I checked out http://inspiralized.com —EVERYTHING you can think of is there, and it’s all delicious, believe me — where I found a sweet potato, ricotta & balsamic glaze dish that makes me want to skip straight to dinner. You will, too. Here’s the link: http://inspiralized.com/baked-sweet-potato-noodles-with-ricotta-and-balsamic-glaze/ . Throwing a nice salad together that’s more than the “greens-with-whatever-else-is-at-hand” variety sounded good, too, so I’m adding hazelnuts and prosciutto with this one: http://inspiralized.com/apple-noodle-and-prosciutto-baby-kale-salad-with-roasted-hazelnuts-thanksgiving-roundup/. Remember to keep several different kinds of nuts around to add to meals, and as excellent snacks. They’re full of healthy fats and loads of vitamins, minerals and anti-oxidants. Take care: they’re on the high end of calories, so keep track of your servings (a serving size is one ounce, or usually around 15-20 nuts) to remain within your calorie limit. And the zucchini noodles? By now you know that those guys easily substitute for any twirly pasta dish you like. I pulled out one of my old standbys: Creamy Onion Sauce. The onions become amazingly sweet as they cook — I can’t even remember when I began making this one, but I’ve made it countless times over the years and it’s a true fave. It’s also about as simple as you can get! 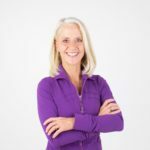 And since I’ve now used the word “Creamy” and no doubt gotten your attention, I’ll be writing more here, very soon, on low-carbohydrate eating. If you’re still eating a low-fat diet, high in whole grains, then you’ll likely take issue with this. That’s fine with me. But I’m taking a left turn from the old party line of low-fat and lots of whole grains. The science is too compelling. Stay tuned. Cook the onions in the butter (covered) until they’re soft, not browned. Cover with the stock, replace the lid, and simmer for another 30 minutes. Purée with an immersion blender (or processor), add SPTT and nutmeg, and serve over your favorite (zucchini) noodles.